All of our kiddo’s get a “boo, boo” every once in a while where they come running to us with big alligator tears in their adorable little eyes wanting us to fix it all with a kiss and a band aid. And isn’t it the best when that little kiss makes the tears go away and like magic they are all better and running away to play? Today, Janica from JaniJo is introducing her “O” project and is sharing an additional way to make those “boos, boos” go away in a hurry…after the kisses of course. Enjoy! 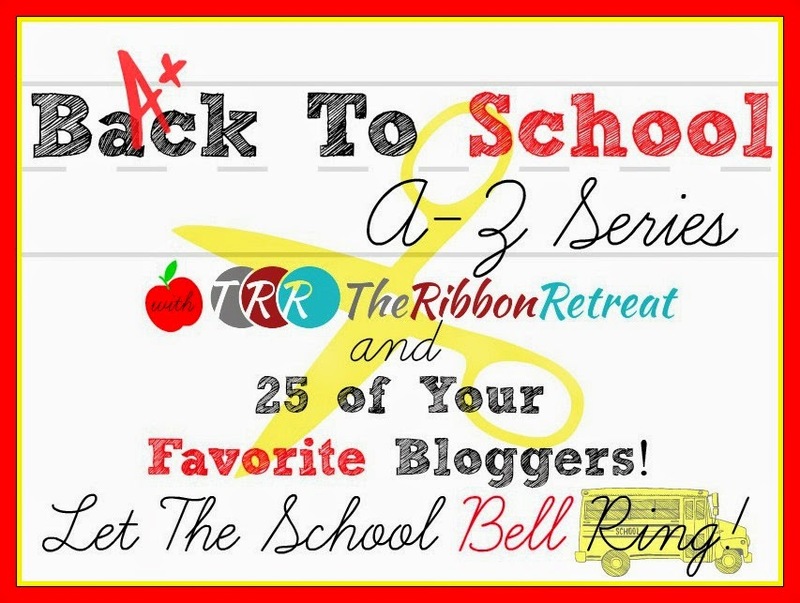 I am so delighted to be a contributor for The Ribbon Retreat’s “A -Z Series”. I was given the letter ‘O’ and, as a mom, immediately thought of how my school-aged children hop off the bus with tales of their “OUCHIES”! that you can heat or freeze to alleviate those little ‘ouchies’! a Ribbon Retreat ribbon mix, and two large buttons. 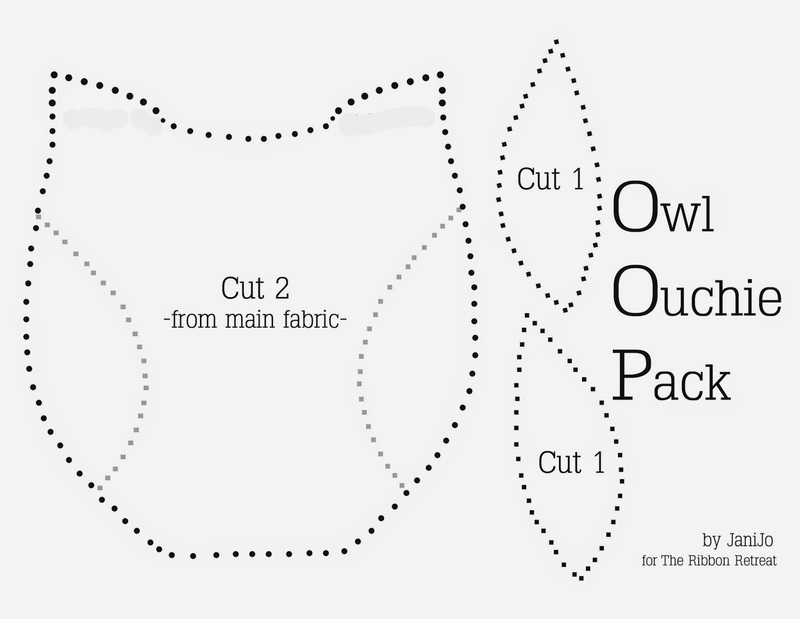 From the main fabric, cut two pieces for the owl body. Cut two ‘wings’ from a scrap piece of fabric. Use a ribbon section (approximately 4″) to cover the top of the ribbon loops. “Whoooo” loves this finished owl? This happy owl will comfort your aching child just by looking at it! Do you have a child that suffers from Growing Pains at bedtime? the heat will take the edge off of muscle and joint pains. This Owl Ouchie Pack is the perfect size for little hands. Make one for each of your kids. or bounding around at home. Here’s hoping for a safe school year! I almost want to go out and scrap my knee now, just so I can use this adorable Owl Ouchie Pack too. This little guy will make all woes go away and make those scratched up knees and elbows feel so much better in a flash. Boo, boos be gone with you now forever!! Thank you so much Janica for sharing this adorable project that all of us mamas, grandmas, aunts and neighbors will soon be adding to our magic mom kits. Do you have a magic mom kit? What is your favorite item in there? Happy Creating & Happy Ouchie Packs! This entry was posted in Everything Else, Just for Kids. Bookmark the permalink. Post a comment or leave a trackback: Trackback URL. Nowhere do the instructions mention putting the owl together or putting in the rice? All that is discussed is making the front? I was wondering at what percent do I need to blow up the owl pattern to make it the correct size? Should I print it in landscape or the regular direction? I have printed it twice but it seems to small. Also will this start on fire in the microwave? My friend made some cute little rice hand warmers and they went up in flames. What is the expiration date for the rice to be used like this?